Amana's 5.0 Cu. 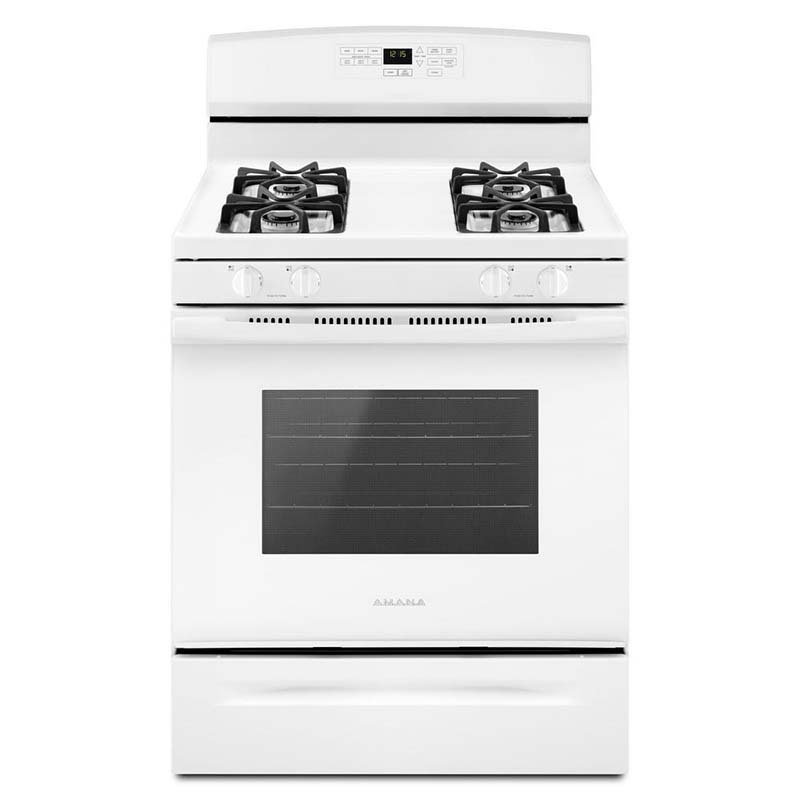 Ft. White Gas Range is a welcome addition to any modern or traditionally-styled kitchen. The large, double-rack oven provides more than enough room to prepare dinner and bake dessert at the same time! This model is equipped with 4 electric burners, preset baking options, a lock-out feature to prevent injury and a large oven window for peeking in on your delicious dishes.